Wellbeing expert and best-selling author George Anderson will be speaking at a business networking event at Wyre Forest House, Kidderminster later this month. George will be talking about wellbeing in the workplace. He works with organisations to help them improve employees’ physical and mental wellbeing. George will be sharing his successful steps towards building a healthier and more active workplace. He will be looking at the deep connection between physical and mental wellbeing and talking about how we can support our mental health with simple, practical daily habits. The Space Open Showcase event is taking place on Friday 20 April 2018 and is free to attend. Delegates will be able to network over lunch and find out more about the council’s 5 Ways to Wellbeing Campaign. 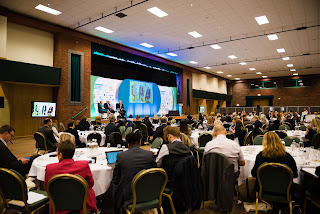 Announcing the West Midlands School Leaders Conference 2018!